Whether you are furnishing a new home or updating your living room, you need living room furniture that best fits your current d̩cor and ideal comfort setting. With armchairs, sectionals, and sofas, picking out living room furniture can be a little overwhelming. SofasAndSectionals.com is proud to recommend selecting the following: Franklin Reclining Sectional, Catnapper Sofa Sectional, Palliser Sofas and Lane Reclining Sofa to furnish your living room and media room. The Franklin 572-12 Chocolate Sectional elegantly combines style with inviting comfort. This sofa sectional group is composed of a reclining console with lights and a storage drawer, a wedge, console with lights and an electrically powered bed chaise. All recliners are electronically powered, making it easy to turn your chair into a recliner. The seat cushions are engineered with superior foam padding and backrests. These provide you with a welcoming and comforting experience. The interiors contain a series of steel springs and hardwood stress areas that are held together with mortise and tenant frame joints. The rich chocolate skin microfiber with contrast stitching will complement any home d̩cor. Recliners have electric recline mechanisms and offer heating and massage units in the seats. Arms are secured to seat with metal locking joints. Similar to Franklin, Catnapper is constructed with superb quality and design. With over 75 years of experience, Catnapper has been a sofa furniture leader in engineering quality and comfortable sofas and sectionals. The Catnapper Torino 636 Black Sofa Group will bring comfort and style into your living room. Features include a chaise style footrest, plush lumbar support, and extra storage and cupholder areas. 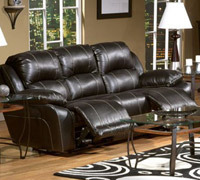 This sofa set consists of a power recline sofa, power glider recliner, and gliding console loveseat. All three of these pieces complement each other perfectly, and will add comfort and beauty to your home d̩cor. This combination of relaxing transitional style and extra storage makes this sofa group a great addition to most any living space. SofaAndSectionals.com is proud to be a retail whole seller of Lane products. 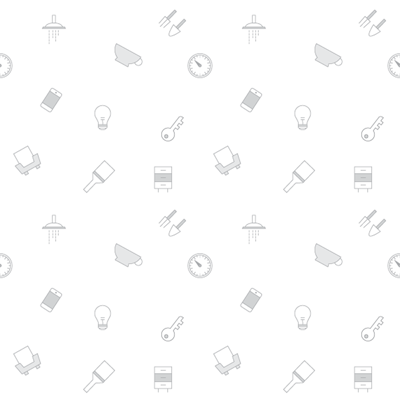 Lane has maintained a strong presence in the furniture industry since 1970. The Lane Palmer 395 Sofa Group is a sofa group that has two over two sofa and loveseats that both offer generous and comfortable seating space. Each piece in this collection has contoured ���scoop�۝ seats and flared padded arms, engineered to provide you with premium comfort. Relax your feet on the chaise style footrest. Additional features include: two cup holders, console storage, pocket coil seating, high density foam seating, and optional power seating. The Regent Collection appeals to both home theater seat enthusiasts and those who are looking for the high level of functionality offered by a custom designed Palliser sofa. With wall hugger design requiring just 2�۝ wall clearance and a full 41�۝ back height for great head and neck support, The Regent offers luxury and functionality in abundance. The Palliser Shields Collection allow you to relax with style and comfort. The beautiful collection is available in a range of colors and fabrics allowing you to coordinate the color of your new sofa with your existing living room d̩cor. Customize your collection by choosing to have it upholstered with microfiber or 7 grades of top grain leather. The gentle softness and smooth texture of the fine leathers make them a pleasure just to touch. The Palliser Shields Collection includes a stationary loveseat or a reclining loveseat with optional console and recliner as well as curve or corner sectionals with optional full-sized sleeper and ottoman. The Franklin 572-12 Chocolate Sectional, the Catnapper Tornio 636 Black Sofa Group, Palliser Regent and Shields Collection and The Lane Palmer 395 Sofa Group will all make an excellent addition to any media room. Whatever your needs, tastes or available space, we are sure one of these three great sofas will be perfect for your home.. For your FREE color swatches delivered to your door or for further advice on any of our product ranges, please contact one of our highly experienced sales associates toll free on 1-888-567-7632.
discount leather reclinerAll massage chairs from SofasandSectionals.com come with Free delivery service. 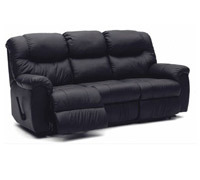 Quality massage chairs, free shipping, chair assembly and the guaranteed lowest price from SofasandSectionals.com. discount occasional chairsAll accent chairs from SofasandSectionals.com come with Free delivery service. Quality accent chairs, free shipping, sofa assembly and the guaranteed lowest price from SofasandSectionals.com. lift chair saleAll chairs from SofasandSectionals.com come with Free delivery service. 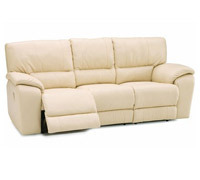 Quality sectionals, free shipping, sofa assembly and the guaranteed lowest price from SofasandSectionals.com. lift chair for saleAll chairs from SofasandSectionals.com come with Free delivery service. Quality sectionals, free shipping, sofa assembly and the guaranteed lowest price from SofasandSectionals.com. fabric gliderAll accent chairs from SofasandSectionals.com come with Free delivery service. Quality accent chairs, free shipping, sofa assembly and the guaranteed lowest price from SofasandSectionals.com. sectional leatherPrefer your leather sofas reclining? 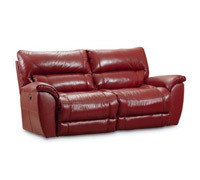 Select from many quality leather sectional sofas and leather sofas recliners. All of our leather sectionals ship free of charge with premium delivery service to your front door. Order your new leather sectional today! lane comfort king rocker reclinerLane rocker recliners offer style and comfort in an elegant and classic design. Choose from premium natural leathers, durable fabrics, and a wide variety of styles and selections. Whether you are furnishing a new home or updating your living room, you need living room furniture that best fits your current d̩cor and ideal comfort setting. With armchairs, sectionals, and sofas, picking out living room furniture can be a little overwhelming.